When it’s been nearly two decades since your last album, when you split swearing never to reform, when your feverish fanbase latches on to every rumour of your current activity, the pressure is on. If they’re going to come back at all, Faith No More need to come back hard. And yet… they don’t. Every one of the studio albums that preceded this came roaring in with fire and purpose. Yet Sol Invictus’ eponymous lead track saunters in and simmers, all minor-key piano, cinematic scope and sombre rumination. Because, despite everything, there’s nothing to prove. However, the beautiful paradox at the heart of this band is that they are always at their most archetypally Faith No More when they sound nothing like archetypal Faith No More. The result is a masterclass in what they’ve always excelled at – not giving a damn about your expectations. 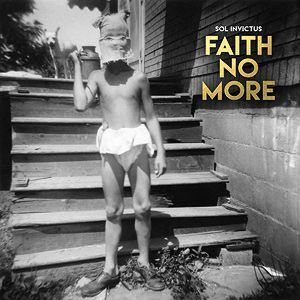 Fronted by Mike Patton, FNM play songs from their legendary back catalogue as well as new work from their first album in nearly two decades, Sol Invictus. They were true rock subversives and are back to blow our minds.